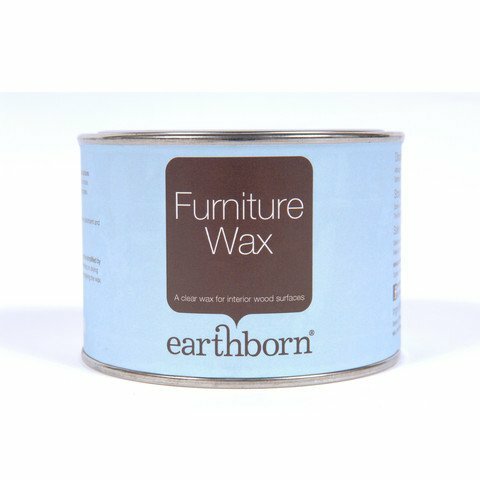 Earthborn Furniture Wax is a clear wax that provides a protective satin finish to interior wood surfaces. Earthborn Furniture Wax dries to leave a clear satin, water repellent surface that is fully moisture permeable. It’s dirt resistant and anti-static. Quickly dries for polishing. Easily maintain worn areas by re-applying wax. Use on most interior absorbent surfaces, especially wood, cork, un-glazed tiles and as a finish on furniture painted with Earthborn Claypaint. Waxed surfaces will remain breathable, protected and maintained, repelling water, dust and grease. Drying time: Polish after 30-45 minutes (depending on drying conditions).